The Memorial Candle Program has been designed to help offset the costs associated with the hosting this Tribute Website in perpetuity. Through the lighting of a memorial candle, your thoughtful gesture will be recorded in the Book of Memories and the proceeds will go directly towards helping ensure that the family and friends of Simon Sanchez can continue to memorialize, re-visit, interact with each other and enhance this tribute for future generations. It is with great sadness, we announce that Simon M. Sanchez (68 years of age), our beloved father, grandfather, brother, uncle and friend passed away on Sunday, March 24, 2019 surrounded by his loved ones. He was a lifelong resident of Las Cruces, NM. 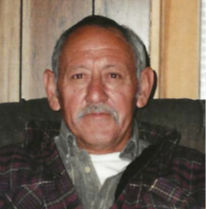 He was born on October 28, 1950 to Abraham and Julia Sanchez in Vado, NM. After graduating from Mayfield High School, May 1969, Simon joined the Army. He served in the 615th Engineer Company Sixth United States Army in 1970 until his Honorable Discharge. Throughout his career, he received several certificates and commendations for his excellent performance and expertise in the heavy mobile equipment as mechanic and technician. He then enlisted in The New Mexico Army National Guard and the Reserve of the Army, 642nd Maintenance Company in 1975, then reenlisted in 1990 until he was Honorably Discharged. Those who knew Simon “Butch” in the Army, is now “Free”. Simon over several years was an advocate for immigrant families, who appreciated all his efforts when they were reunited. His hobbies included baseball, hunting, horseshoes, card games and billiards. Simon loved his children and grandchildren. He will continue to live in our hearts and in our thoughts as he was a great, hard, but caring and loving individual not only to his family, but to numerous nieces, nephews, friends and animals. His loving dogs, especially “Chapo” who he adored and was always at his side up to his final moment will miss him. He also loved his cats and fed many pigeons who will also greatly miss him. Roam “Free”, now without pain or inhibitions. Roam “Free”. Left to cherish his memory are Son Simon Sanchez Jr. and Daughter’s Sylvia Orozco (Sergio),), Israel (Izzy) Rios He is survived by his siblings, Richard Sanchez (Cindy), Isabel Bencomo (Isaac), Maria Sanchez, Aurora Sanchez (Frank), Dolores Salinas, Raymond Sanchez (Lorina), Catarina (Katie) Sanchez, Dennis Sanchez (Lorena). Grandchildren, Ashley Olguin (Robert), Brittany Ramos (Frankie), Julian Marquez, Xavier Sanchez, Caleb Sanchez, Abigale Orozco, Veronica Orozco, Sergio Jr. Orozco, and Carolina Orozco. 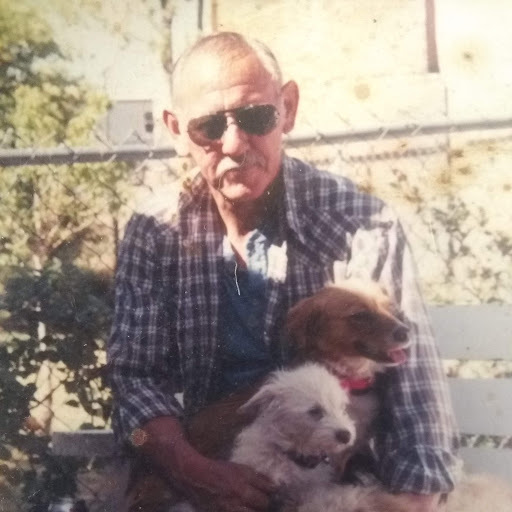 He is preceded in death by his parents, Abraham Sanchez Sr. and Julia Sanchez, daughter, Jennifer “Jenna” Sanchez, brothers Bonifacio Sanchez and Abraham Sanchez, Jr.
Visitation will be held from 5 pm to 7 pm, Tuesday, April 2, 2019 at Getz Funeral Home with a Rosary to follow at 7 pm. A Funeral Liturgy will be held at 10 am, Wednesday, April 3, 2019 at Santa Rosa de Lima Church with Father Andres Mendoza officiating. Burial will follow at St. Joseph’s Cemetery. Reception will follow at Santa Rosa de Lima Parish Hall, 5035 Holsome Road, Las Cruces NM (East Mesa-off Bataan Memorial East), Wednesday, April 3, 2019 at 1:00 p.m. Serving as Pallbearers will be Frank Sanchez Jr., Chris Sanchez, Dennis Sanchez Jr., Richard Bencomo, Emilio Salinas, James Sanchez, and David Thomen. Charitable donations can be made to the Humane Society in Simon’s honor. To send flowers to the family of Simon M. Sanchez, please visit our Heartfelt Sympathies Store.